Vitányi, P.M.B. (2013). 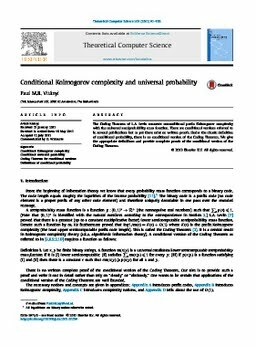 Conditional Kolmogorov complexity and universal probability. Theoretical Computer Science, 501, 93–100.